I love your mother in law's recipe, especially the brad dumpling, I like to cook it with saucy dishes, it soaks itself full of this delicious sauce. Great blog! Thank you so much! My mother-in-law would be thrilled to hear your kind comment. Dumplings pair so well with various gravies and sauces - pure comfort food! Hannah, this is super exciting. My maternal grandmother and my paternal great-grandmother are 100% Bohemian, so that's what I always tell people my heritage is. 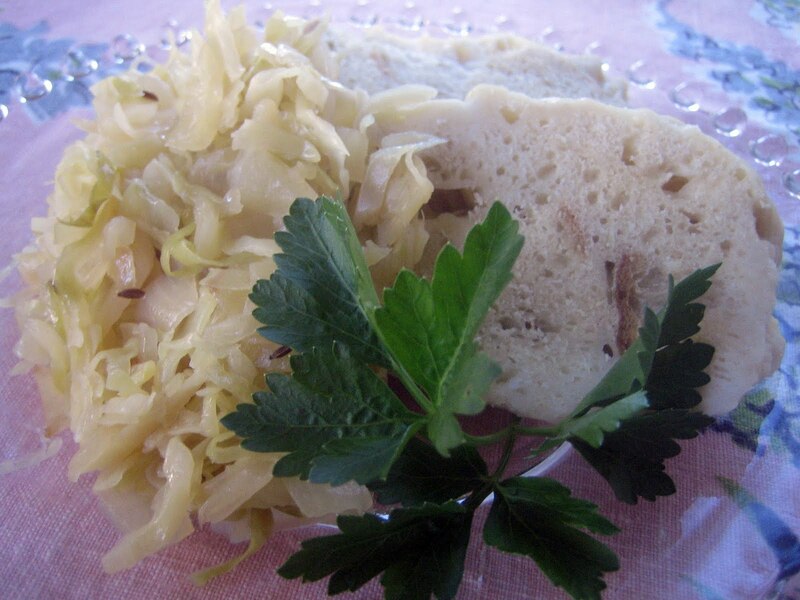 I've always been curious about traditional Czech cuisine, so thank you for giving me an introduction! I will have to try these dishes. Oooh I love Czech food (and other central European cuisines). I'm definitely a fan of dumplings and cabbage. They really are perfect for this time of year! Pork roast was always a staple of my paternal grandmother's kitchen (although she's Scots-Irish, not Bohemian). I can't make a pork roast without comparing it to hers. Lauren, it sounds like your grandmother made a wonderful roast! I love how cultures and cuisines overlap and share. Eating is such a fun way to learn about different heritages! Thank you for sharing your mom's recipes. I was thinking about some dumplings and kraut today! My pleasure! I hope you enjoy the dumplings and cabbage - it's such good comfort food, too. 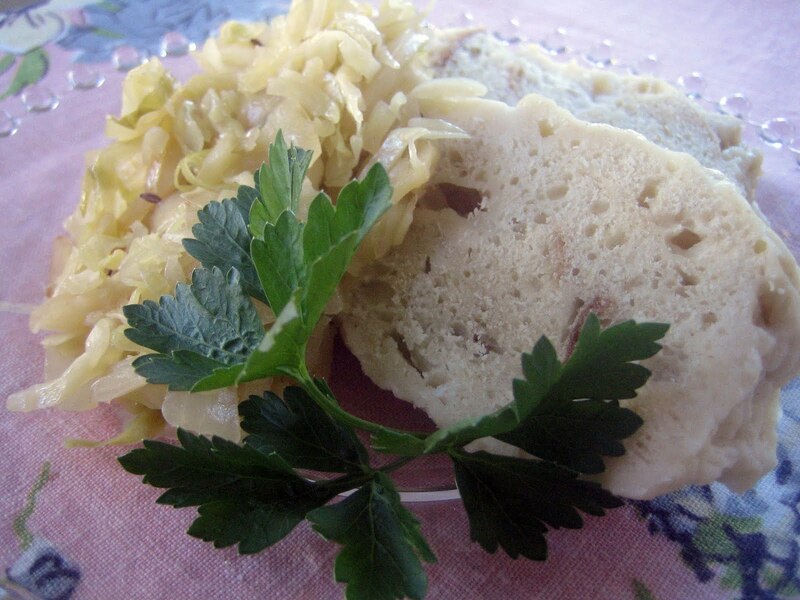 My mom was from Mejava, Slovakia and came over to US in 1927--I grew up here in the US with many many warm memories of her knedliky and zeli--kolatchky--peach dumplings--Christmas soup--Christmas bread--etc --thanks so much for your recipes here--this is almost exactly how I make knedliky after how my mom taught me how. Only we (I) use a nice pork loin roast. Thank you so much for publishing this!! !It is exactly my mother's recipe. I keep forgetting the amounts of ingredients, and you have them. My mother's family is also from Bohemia - Strunkovice. Thanks again for posting this. Hi Carole! This makes me so happy and I'm delighted to share the recipe with you. I hope you enjoy! Both my paternal great-grandparents came from Bohemia in the late 1800s and a similar recipe was passed down to us. 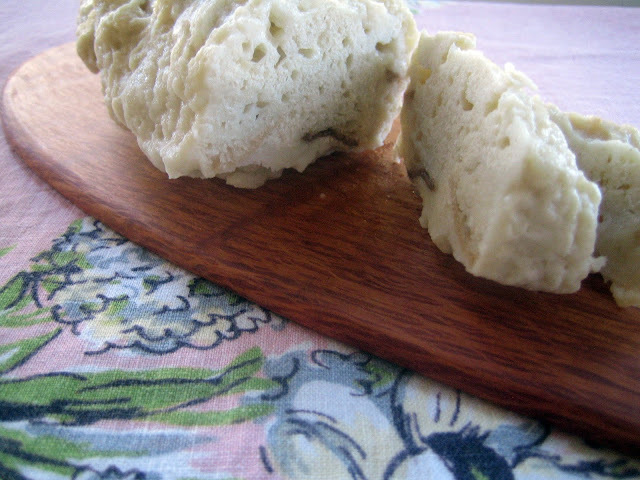 We use toasted bread cubes cut from bread crusts and do not make a log; we drop spoonfuls into water to boil. 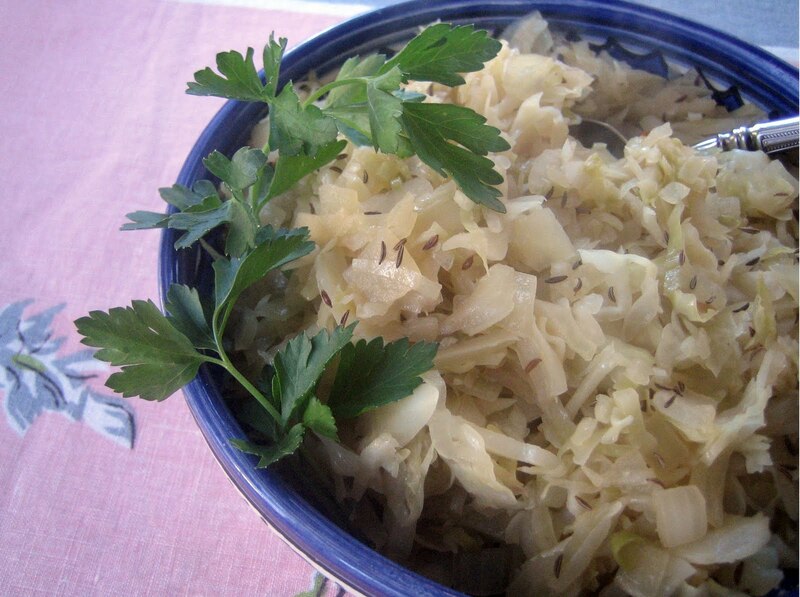 We do not use sugar or vinegar and while our original recipe calls for cabbage, we prefer sauerkraut instead. And I have to agree, this dish is best left to sit overnight before serving. This is also one of our thanksgiving staples and is something I look forward to more than the turkey! Take it from a 100% Czech American. 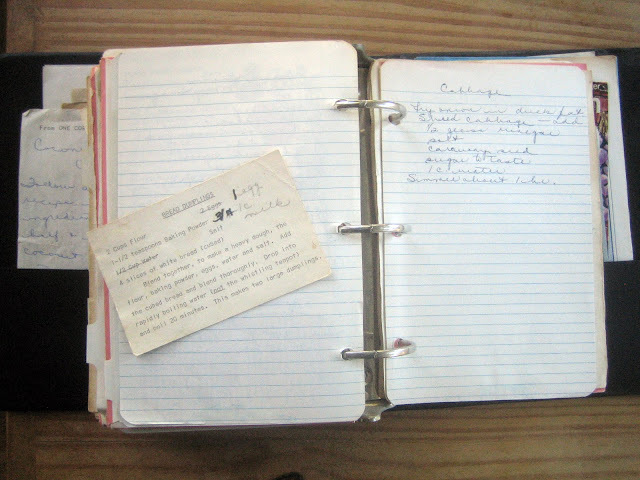 Your recipes are almost identical to my mom's and grandma's. My #1 favorite meal, topped with a Pisner Uraquel beer. I know what we are having for supper tonight. I might also mention that you can freeze the sliced knedliky then vacuum seal to cure sudden cravings anytime. I love this blog but I'm late on it. All this bohemian food talk has me thinking [crying] bout my bohemian mother ..God rest her soul... she had 5 sisters and 3 brothers ... just imagine those holiday dinners . Of pork saur kraut and dumplings. Oh yes . ? I know what I'm having this week? It there's not a testers t out there that can match the home made versions of all this good stuff?